Speed eating, blue underwear, throwing stuff off the windows and climbing on chairs? No, it’s not a college party: welcome to Portuguese new year’s eve! Generally speaking, Christmas in Portugal is about family and tradition; new year’s eve is about friends and superstition. 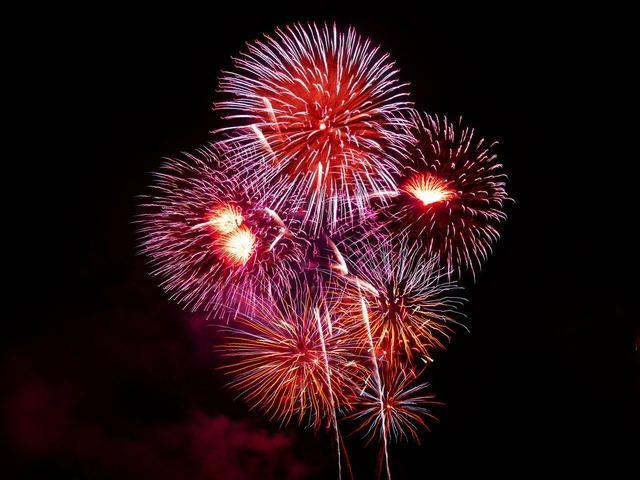 Most cities and towns will have fireworks at midnight and/or a free concert, lots of restaurants and almost all hotels will have some kind of special dinner and/or party going on. This is also the time of the year when you’re likely to notice your skeptic Portuguese neighbour hold a Euro bill in their hand at the stroke of midnight because, “Well, it can’t hurt, right?”. 1 – eating 12 raisins: this one is probably the most well known supersition on new year’s eve. You’re supposed to eat 12 raisins, one for each stroke of midnight, thinking of a wish with every raisin eaten, also symbolizing 12 lucky months ahead. I was never able to do this! 2 – while you’re eating your 12 raisins don’t just sit there! You’re supposed to be in some sort of “high place”, like a chair, and don’t forget to have money with you (either in your pocket or in your hand). 3 – remember to toast with champagne or Portuguese “espumante”: always with upward movements, never crossing arms. 4 – you can’t rest just yet! Pick something old and damaged, like a broken vase (not your creepy uncle! ), and throw it off the window: you’re symbolically getting rid of all that’s old and not working in your life! 5 – while you’re at the window make some noise: bang on pots and pans to “scare away” bad things. 6 – now is the time to hug and kiss those around you. I know, non-Portuguese will probably feel squirmish at the thought of so many people kissing their cheek, but that’s how we roll! 7 – prepare to hear almost everyone telling you “I haven’t seen you since last year”. Please tell me we’re not the only ones making this dad-joke-level kind of thing! 8 – underwear is really important! I think this superstition actually came from Brazil, in the late 80’s/early 90’s, but it’s very widespread today in Portugal. A lot of people go for blue underwear on new year’s eve (symbolizing all things good), others for red (love), yellow (i.e., gold, i.e., money) or white (all things good, too). Right after Christmas you probably noticed shops putting on a display of blue underwear for sale and now you know why! 9 – before new year’s eve some people also make sure to give back things or money they had borrowed: the idea is that you start the year “clean”, free of unwanted things to solve and take care of. 10 – what about the 1st of January? There’s a little superstition left for that day! When you’re getting dressed make sure to first put on all the things that “go up”, like socks. Many people like to wear something new on this day and, of course, it’ll probably be blue! If you have Portuguese in-laws, for example, don’t be surprised if for Christmas they give you a blue shirt or jumper: it’s so you have something new and blue to wear on the first day of the new year! 11 – think we’re all mad? Well, what about the people who go to the beach and actually go for a swim on the 1st of January? You don’t have to be crazy to live here, but it sure helps! 12 – On a very practical note, bear in mind that virtually everything will be closed on January 1st and most street shops will also be closed on the 2nd. Please remember that some of us are very superstitious and others are not and regardless of doing all of these things (or more or none) we’re mostly just trying to have fun, so please don’t judge! Also, don’t drink and drive. I hope you found this post useful! Happy new year! ~ Feliz ano novo!